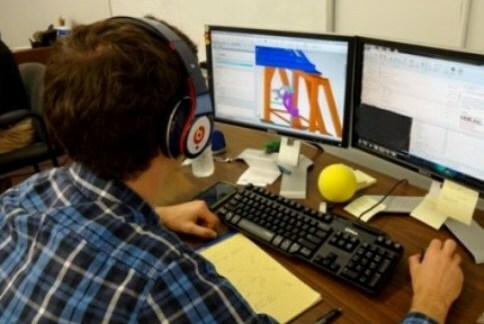 Aerosync offers reverse engineering services for tooling utilizing the latest in computer aided design programs covering Mastercam and Catia based formats. Our expertise allows us to model any part, tool, or object to exact dimensions. We can create a 3-D Model as well and a complete drawing package in order to build new parts or to replace lost data for that specific item. There is no limit to our abilities to support any program whether Land, Sea, or Air, Aerosync can support your needs. 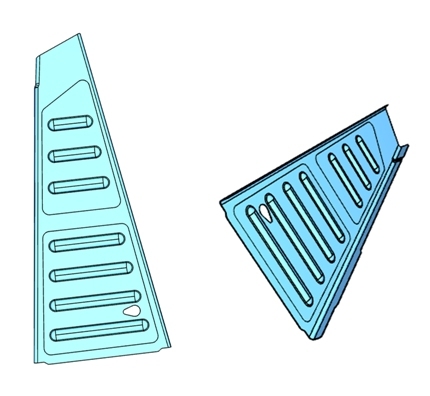 The sample to the right illustrates a simple panel assembly that was originally produced from early blue print drawings. The client required a new tool to be produced incorporating structural upgrade modifications. Aerosync was ale to pull exact dimensions, gauge and produce flat patterns in order to meet the requirement. It does not matter how simple or complicated the part is, Aerosync has the technical capability to support your needs.